What if you are working on your laptop and your friends start text messaging!! You have to use both and it’s a bit annoying. In my case, I control my phone from my computer. How so!, okay lets have a look on it step by step. I am using Android Phone and Windows Operating system. Now, let us know what extra we need. 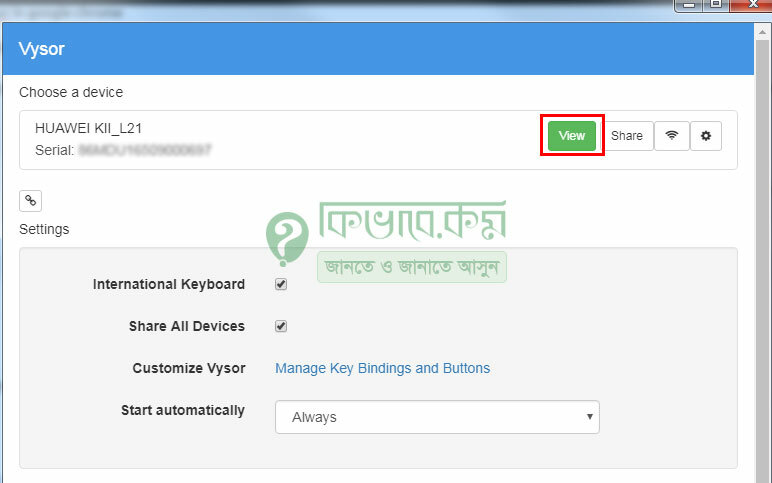 For windows, to install ADB (Universal ADB Drivers) you have to go to the following website. There, you will get a download button. Download ADB and install it in your windows machine. Next step is to install visor in your google chrome web browser. I hope you are using google chrome web browser, if not, install it also. 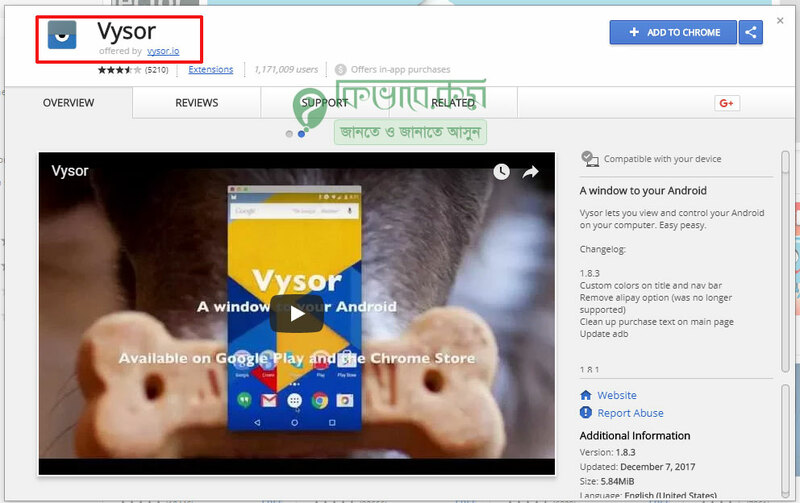 Open Google Chrome web browser and then search Vysor add on, you will get some suggestion, open then and check is it offered by vysor.io or not. If it is offered by vysor.io, hit on + ADD TO CHROME Blue button. Now time to connect your phone with computer. First on USB Debugging. In most cases, you will get USB Debugging in Settings > Developer Options. But some phone like my Huawei RG5 , it was not on settings. 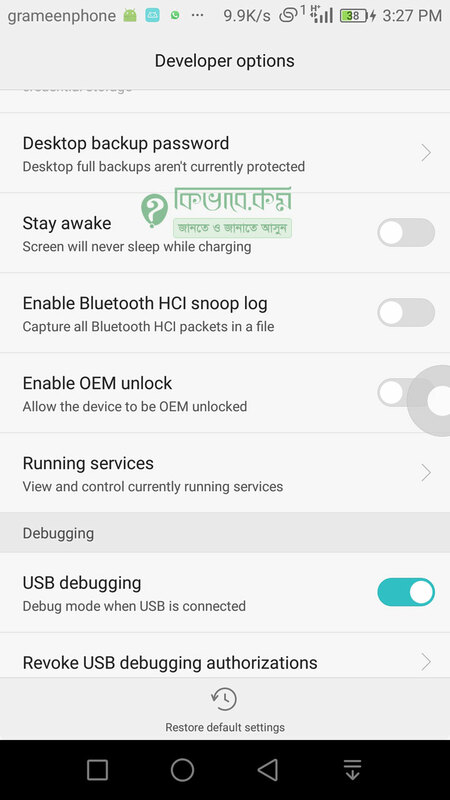 So, switch on that USB Debugging from Developer Options and then connect your phone with computer in USB. After connecting your phone, Open Vysor in google chrome. The vysor apps looks like below. Click to view to get access of your mobile phone. 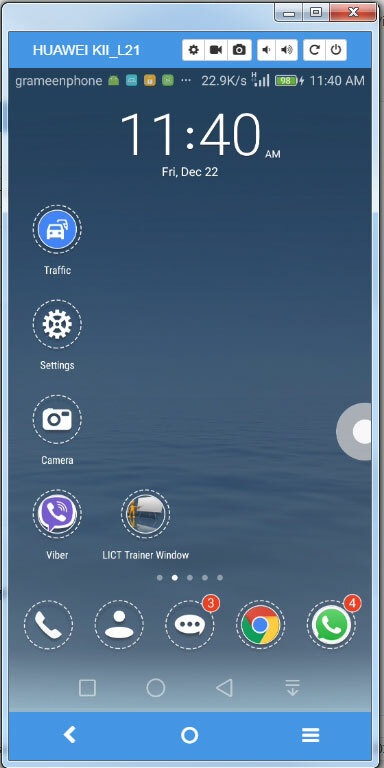 If everything is fine, you will get your android phone screen with control like below. Use your mouse to open apps and all in your mobile phone. This is a free version of vysor. So, you will not get full access. You may buy licensee but free is also okay.I am using the free version.